Employees work at an Audi Q5 2.0 production line of the German car manufacturer's plant during a media tour in San Jose Chilapa, Mexico April 19, 2018. MEXICO CITY/OTTAWA — Canada, the European Union, Japan, Mexico and South Korea will meet in Geneva Tuesday to discuss how to respond to threats by U.S. President Donald Trump to impose tariffs on U.S. imports of autos and car parts, officials familiar with the talks said. The Trump administration has come under heavy criticism from automakers, foreign governments and others as it considers tariffs of up to 25 per cent, a levy critics warn will hike vehicle costs, hurting auto sales and global industry jobs. Several auto manufacturing powers have been talking to each other in recent days about their fears and a possible coordinated response to Trump’s “Section 232” investigation, which he ordered on May 23, into whether auto imports are a threat to U.S. security, sources say. The probe could be completed within weeks, although similar ones ordered last year that led to tariffs of 25 per cent on steel and 10 per cent on aluminum took about 10 months. The U.S. Commerce Department has 270 days to offer recommendations to the president after such a probe starts. He then has 90 days to act upon them. It was not immediately clear what kind of response the countries could be looking at, although Canada, the EU and Mexico retaliated with their own tariffs after Trump imposed levies on steel and aluminum imports in March. Another option is to fight the United States at the World Trade Organization (WTO). Deputy ministers will gather in Geneva on July 31 to hear each other’s views, a Canadian official and a Mexican official told Reuters, asking to not be named because they were not authorized to talk to the media. “The meeting is meant to bring together major auto producing nations so we can discuss our concerns over the U.S. Department of Commerce’s Section 232 investigation of automobiles and parts,” said the Canadian government official. Mexico’s economy ministry confirmed Deputy Economy Minister Juan Carlos Baker will travel to Geneva for “work meetings about several subjects,” including meeting World Trade Organization (WTO) chief Roberto Azevedo. The Canadian foreign ministry declined to comment. According to the WTO website, Azevedo will meet Baker on Monday, followed by Canada’s Deputy Trade Minister Timothy Sargent and Japan’s Senior Deputy Foreign Minister Kazuyuki Yamazaki on Tuesday. The Mexican official said the meetings were related to the auto tariff issue. Eventual tariffs on autos could hit companies including Korea’s Hyundai Motor Co, Japan’s Toyota Motor Corp. and Germany’s BMW, as well as global factories for U.S. brands General Motors Co., Ford Motor Co., and Fiat Chrysler Automobiles. Trump’s agreement on July 25 to refrain from imposing car tariffs on the EU in return for reduced trade barriers for U.S. products has helped cool fears of a trade war, but his final decision will not be known until the security investigation is concluded in coming months. The U.S. automakers lowered their full-year profit forecasts on Wednesday due to the trade frictions, and their stocks fell as investors bet the disputes would hurt margins and sales. Although hopes of a breakthrough in U.S.-EU trade talks boosted carmakers on July 26, the planned meetings are a sign that auto-producing nations want to prepare for the worst. Canadian Foreign Minister Chrystia Freeland raised the need for “cooperation by major interested nations” regarding the U.S. auto investigation during a meeting in Ottawa with South Korean Trade Minister Kim Hyun-chong last week, the South Korean ministry said in a statement after the meeting. On a tour that also took in the United States, Kim broached the idea of working together to face tariffs at a meeting of the Pacific Alliance trade bloc in Mexico on Monday, said another Mexican official and a diplomat with knowledge of the matter, asking to remain anonymous because they were not authorized to speak about it. Officials consulted by Reuters in Canada, Mexico and South Korea all said such discussions were preliminary, with another Canadian official characterizing them as comparing notes on the state of play of the tariff investigation, rather than discussing a coordinated reaction in detail. “We have checked and listened to each other’s stance. 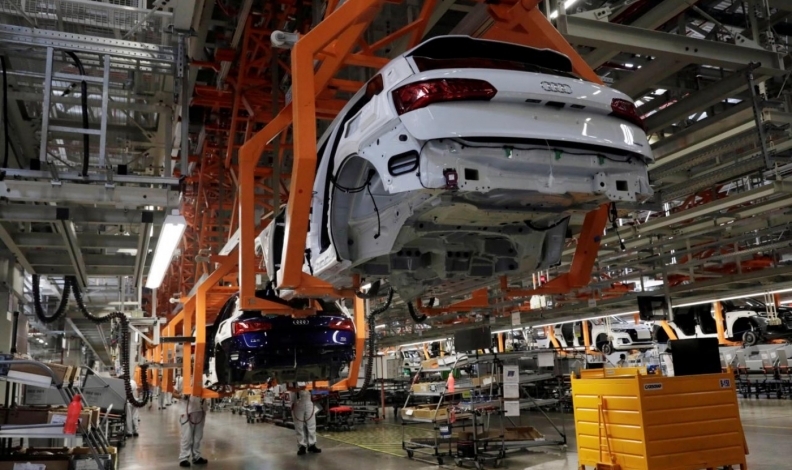 However, as the auto tariff probe is still under way, it’s hard to know how things will turn out at this stage,” said a South Korean trade ministry official who declined to be named because he was not authorized to talk to the media. “(Probe) results should come out first to work on a joint response,” the official said. Canada is concerned South Korea may achieve an exemption that would give it a competitive advantage, the diplomat said, after the Asian country accepted quotas on its steel exports in return for an exemption from the metals tariffs that hit Canada, Mexico and other allies. Ahn Dukgeun, a Seoul National University professor who advises the government on trade matters, said South Korea’s government was divided over what course to take. “South Korea is at crossroads,” he said, on whether to “deepen managed trade” with the United States or to get tough, such as complaining to the WTO and using retaliatory tariffs. Because of varying domestic rules on tariff retaliation, coordinating any action between several countries “quickly becomes fiendishly difficult,” the diplomat said. “The idea is that we want to know that if we go to the WTO, if we use NAFTA in our case or if we retaliate,” our partners will be doing similar things, said the diplomat. The conversations are more intense than before the steel and aluminum tariffs, the diplomat and the Canadian official said. One reason may be that countries now know Trump does not hesitate to pull the trigger on tariffs. Another is the economic weight of the auto industry. The United States imported $173 billion (all figures USD) of cars and $70 billion of auto parts in 2016, compared to $21 billion of steel.